40 Days and 40 Nights — Necessary Angel Theatre Co.
40 Days and 40 Nights at the Theatre Centre, 2018. Armed with the magical poetry of Persian poet Hafez, the musings of French philosopher Alain Badiou, and impossible questions, two lovers on a spiritual quest challenge themselves to live for 40 days and 40 nights making all choices based in Love. Mysterious, symbolic, and intimate, the couple is transformed through ceremony, tenderness, wisdom, and the sheer force of love itself. 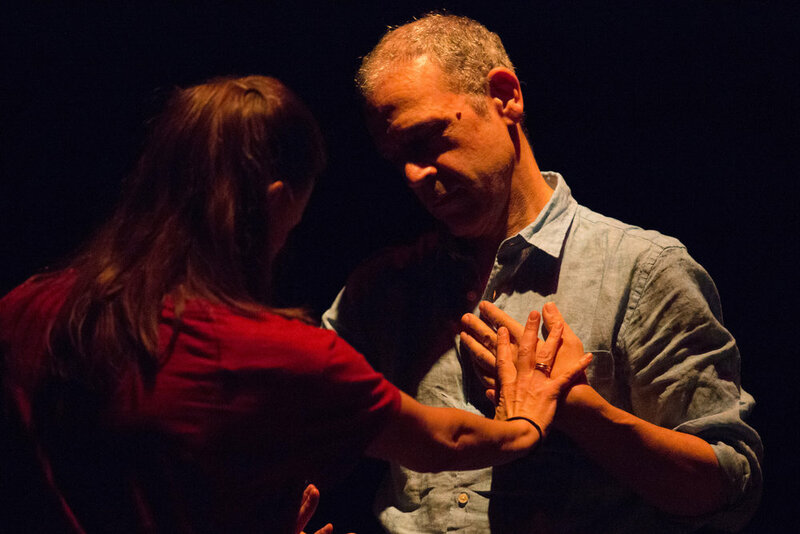 A sensorial, ritualistic, celebration for the performers and the audience, 40 Days and 40 Nights is an investigation of the nature of love; how to contemplate love, how to talk about love, and how to be open to the possibility of love. 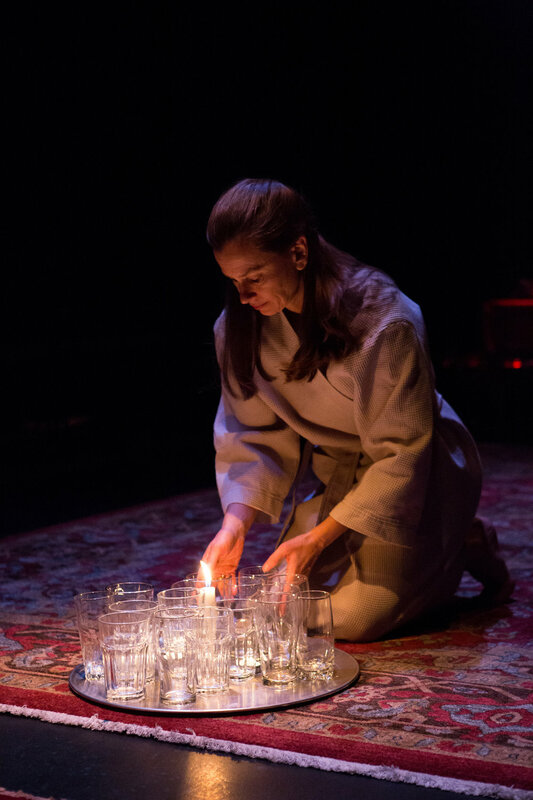 A show-in-motion, each performance of 40 Days and 40 Nights invites the audience into the conversation, offering them agency in the story, and embedding them in the feeling of love.